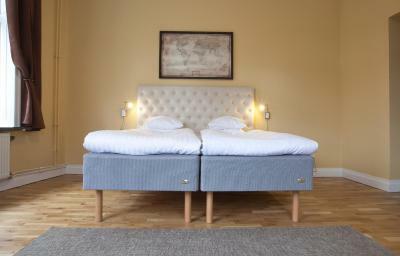 Lock in a great price for Hotel Bishops Arms Lund – rated 8.3 by recent guests! Conveniently located near Lund Central. Bus stops are close by. Nice pub in the hotel. The location is the only thing this place has going for it. Picturesque hotel in great location. Very friendly staff in the pub. Nice range of excellent breakfast items. Exceedingly friendly and accommodating staff. Close to bus and train stations. 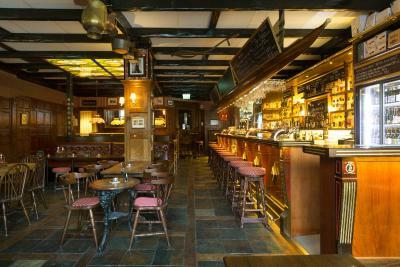 A family member living in Sweden recommended it and the attached pub, which was a great place to eat after sightseeing. I was here to attend a graduation and to my delight this hotel is just 5 minutes away from the Lund University main administration building. 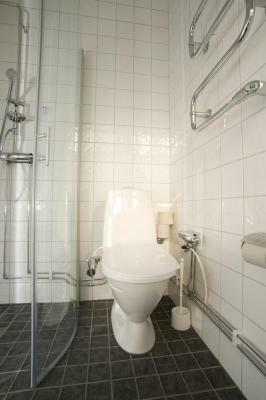 The location is ideal as it's also just a few minutes from the Central Station and supermarket that is open until 23:00. What an unexpected treat! The Bishops Arms is centrally located, has easy and inexpensive parking (across the street, underneath the library), and made for an excellent stay in this charming city. They offer a solid breakfast (typical cold European offerings and two hot American offerings (scrambled eggs and bacon) with good choices. We lucked into a gorgeous weather weekend, which meant the pub's windows were wide open for an enjoyable cider and beer. We would absolutely return to this hotel in the future. 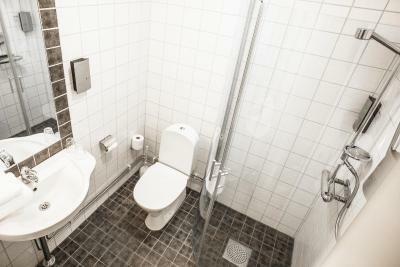 Located close to the train station, restaurants, and bars. 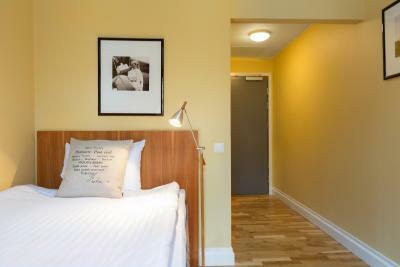 Staff was friendly and room was very spacious! The room was lovely and big. The Breakfast was yummy and also lovely and big. Location right in the heart of Lund enabled us to walk everywhere. We would totally recommend Bishop Arms to others. 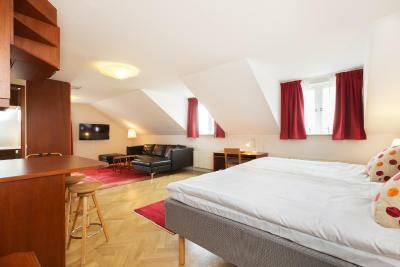 nice room, nice breakfast, convenient to the activities that we like. 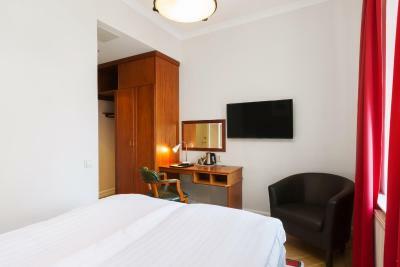 Hotel Bishops Arms Lund This rating is a reflection of how the property compares to the industry standard when it comes to price, facilities and services available. It's based on a self-evaluation by the property. Use this rating to help choose your stay! 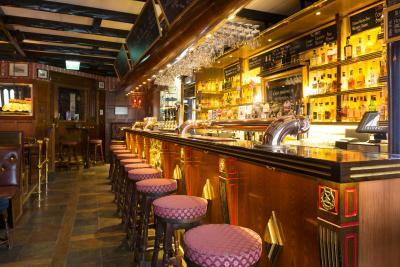 This hotel is attached to a pub and set in an early 1900s building in the heart of Lund. It offers luxurious Dux beds and free WiFi. 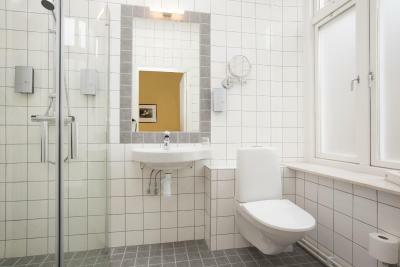 Lund Central Station is only 4 minutes’ walk away. 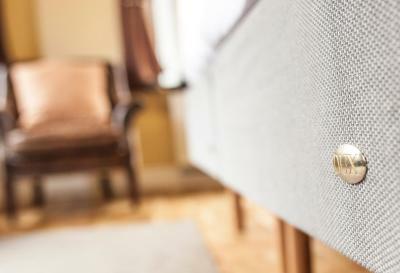 All guest rooms at Hotel Bishops Arms Lund are individually decorated. 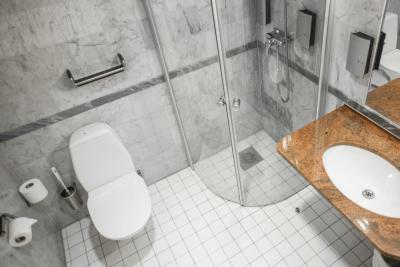 Each room includes a seating area, a work desk and cable TV. The hotel also has a garden. 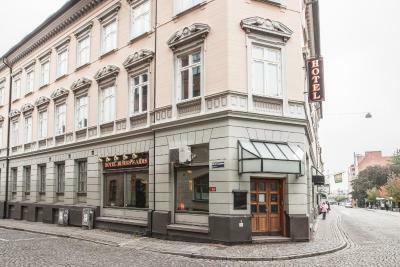 Hotel Bishops Arms Lund is right next to the Lund University area and 1,000 feet from the 12th–century Lund Cathedral. Local buses stop nearby. 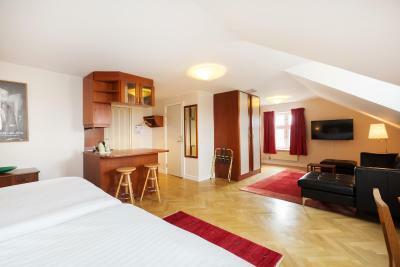 When would you like to stay at Hotel Bishops Arms Lund? 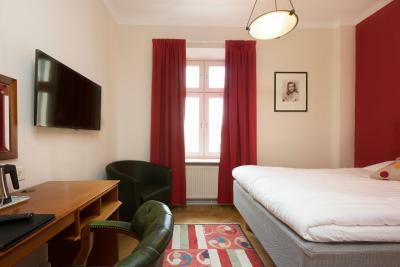 Individually decorated room with cable TV, a luxury bed and seating area. 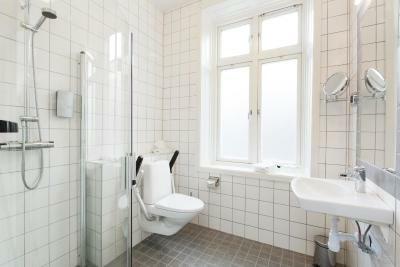 Public parking is available at a location nearby (reservation is not needed) and costs SEK 120 per day. 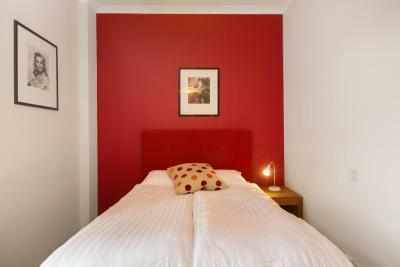 Compact, individually decorated room with cable TV, a luxury bed and seating area. 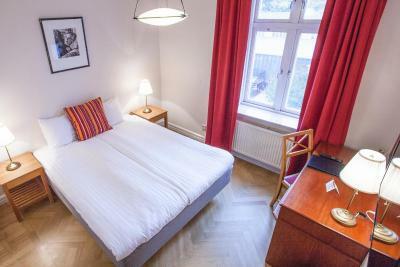 The hotel is like a small charming guest-house located in the very heart of the city center of Lund, just a few minutes walk from the central station, the university, shopping and other attractions. 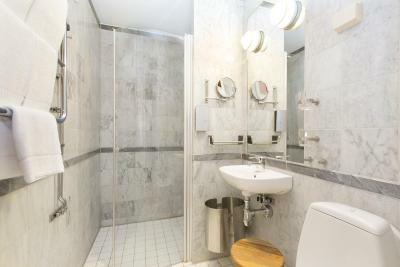 It is in modern classic style and the rooms correspond to the expectation of a four star hotel with a high and uniform standard of rooms and bathrooms. 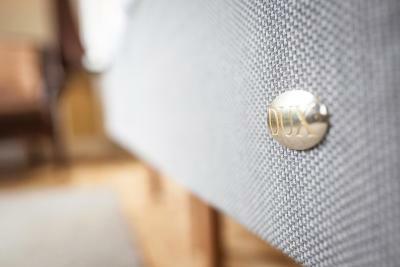 All beds in the hotel are from the Swedish premium bedmaker DUX. 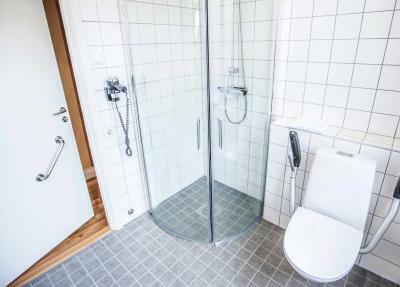 House Rules Hotel Bishops Arms Lund takes special requests – add in the next step! 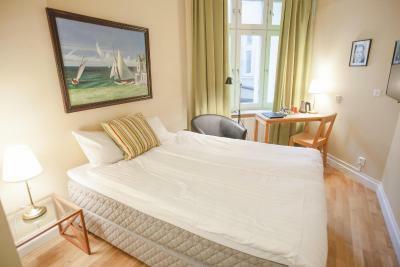 All children under 16 years are charged SEK 200 per night for extra beds. Hotel Bishops Arms Lund accepts these cards and reserves the right to temporarily hold an amount prior to arrival. Please note that there is no access to Hotel Bishops Arms Lund before the pub opens at 16:00. Please note that there is no luggage storage room at Hotel Bishops Arms Lund. Please inform Hotel Bishops Arms Lund of your expected arrival time in advance. You can use the Special Requests box when booking, or contact the property directly using the contact details in your confirmation. Comfy bed for one, wouldn't want to share it though. Good breakfast. The bed was not good. Pillow was horrible. Room was cold. Can’t help you keep your luggage for a while. Only advantage is the location. Close to Lund C especially if you take large suitcases. Mattress was very firm. Early check-in not available for international travelers on the weekend as the desk isn’t staffed until late afternoon on weekends. 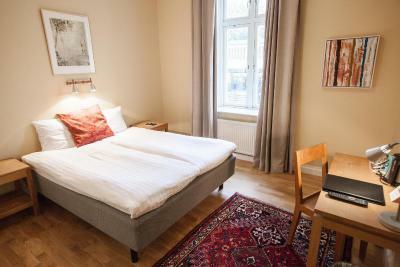 Location, a walking distance from the train station and most of entertainment in Lund. The Pub located downstairs is a must. Comfortable enough considering the day rate. Breakfast is simple but serves everything we need. Sometimes too noisy during the night but only in the rooms of main street. Floor is cold and no sleepers. Receptionist every time is away. No place for baggage on reception. No wardrobe in the room. No drinking water in the room. Inability to actually phone the Bishop's Arms to sort out my booking. I kept getting the Lilla Hotelet instead. Very helpful friendly staff who sorted out the chaos of my "booking.com" booking which had got messed up.